John : Hey Pete, this area sure has many baby day care centres. How come the authorities allow these people to use normal residential houses for day care business and playschool. Pete : Hah, here everything also can! lol! Ah Lian (coffee shop owner) : Actually I also thought about setting up baby day care centre. My friend who is one of the owner made quite a tidy sum of money leh! Hey John and Pete, you want to become my business partner? Ah Beng (Chicken Rice stall owner) : Woit, count me in also. I want to put in my share! Ah Lian : Aiya, Ah Beng, you only know how to sell chicken rice.....errrr sometime also know how to look for 'chicken', what can you contribute to this baby day care business? Ah Beng : Cheh, don't say liddat (like that) lah! I can help you to do marketing mah. I have very good marketing plan and strategy leh! Pete : Wah, Ah Beng talking about marketing strategy! ha ha ha! John : Hey Beng, what is your strategy? Can you share your idea? Ah Beng : Sure lah! You know ah, in baby care business, it is a number game. The more babies we have in our centre, then the more money we make lah. Ah Lian : That I also know lah! How to make sure more babies enrol with us? 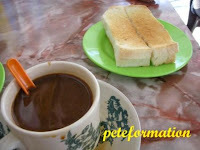 Ah Beng : Easy, every night, whenever I am free liao, I will visit every shops, pharmacies and hypermarket in this area. Then I will poke all their condom packets with needle. Then we will a baby boom in this area. Business will also boom lah! Ah Lian : Boom your head lah! Talking nonsense! ha ha ha! Where is this Chicken rice stall located? Don't patronise pharmacies, supermarkets and 7-11 nearby to avoid any accidents, LOL!!! You'll have to sell imitation birth control pills too... Double whammy! LOL!!! Ah Beng is siao but not totally siao still got chicken sense to create baby boom in your area but no control over their choice of day care lolz. tQ for the mention, one day you bring Bananaz to Ah Beng see how he can help boom up Nuffnang's cheque faster come can ah? aiyoo. why like that one itu ah beng? In my mind have lot of confusion about this related topic. My all confusion has removed after read this blog. 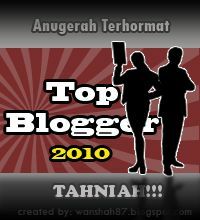 You should continuous do this type of blog.